Why buying Carmel homes is a great decision! Investing your hard earned dollars into real estate is one of the smartest financial moves anyone can make. Investing your hard earned dollars into Carmel real estate is even smarter! Located in Hamilton County immediately north of Indianapolis, Carmel, IN is known as one of the fastest growing communities in Central Indiana. The Carmel, IN community population was last recorded in 2005 at just over 37,000 and is now approximated to be at 60,000. So, what is it about this community that keeps people coming? The residents of Carmel take pride in their community and the outcome shows! The Carmel Clay School system is ranked at the top of Indiana schools. Their public high school has an average graduate rate of 95% of students continuing their education either in undergraduate, associates, or foreign exchange programs. Average math and verbal SAT scores for Carmel students also rank well above the state average. 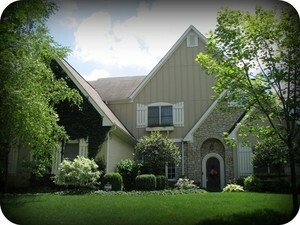 Crime rates in Carmel are incredibly low and add to the reasons why this community is a great place to buy real estate. In statistics taken in 2003 from www.city-data.com, Carmel´s crime index percentage is 102.4 compared to the national average of 327.2. The Carmel community and government work to increase neighbor relations in all communities to deter criminals by announcing city wide "Nights Against Crime" where people are encouraged to visit both old and new neighbors or throw "neighborhood block parties" all in an effort to increase community awareness and citizen relationships. Carmel also boasts a number of recreational and cultural opportunities. Besides being close to all the action of Indianapolis, the Carmel community continues to develop many ways for its residents to enjoy the town. The recently revived downtown Main Street Carmel is now known as Carmel Arts and Design District. With more than $10 million worth of renovation, this area mixes old and new developments as well as a real estate setup with both commercial and residential space. The Monon Greenway which runs from 146th in Carmel to 10th St. in Indianapolis gives residents a paved trail with beautiful scenery perfect for biking, jogging, rollerblading, and walking. The trail runs through all different types of Carmel real estate sites including neighborhoods, parks, the Arts and Design District, and much more. Buying Carmel real estate offers you one of the best opportunities in the nation to confidentally invest your money in your property. Whether you are looking for a condominium, single- family home, or any other type of residential property, we, at The Haddad Team, are happy to assist you in making your home-buying needs come true.